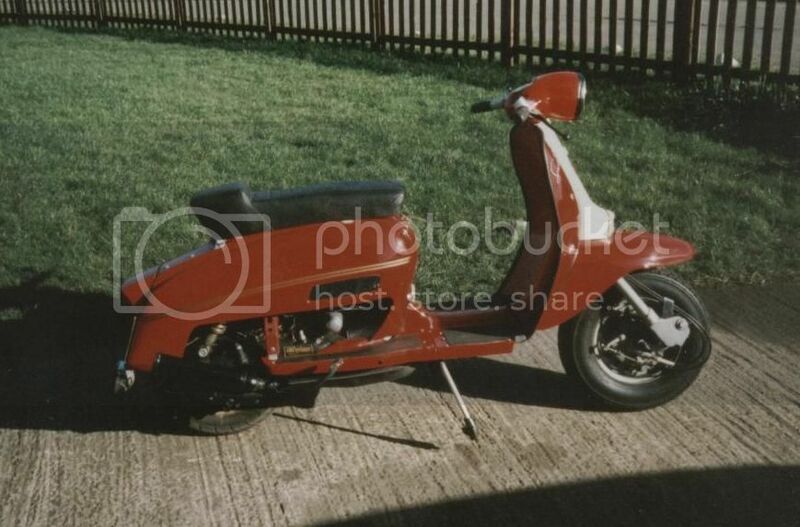 I’ve enjoyed reading the scooter stories on the forum so heres a bit of mine. 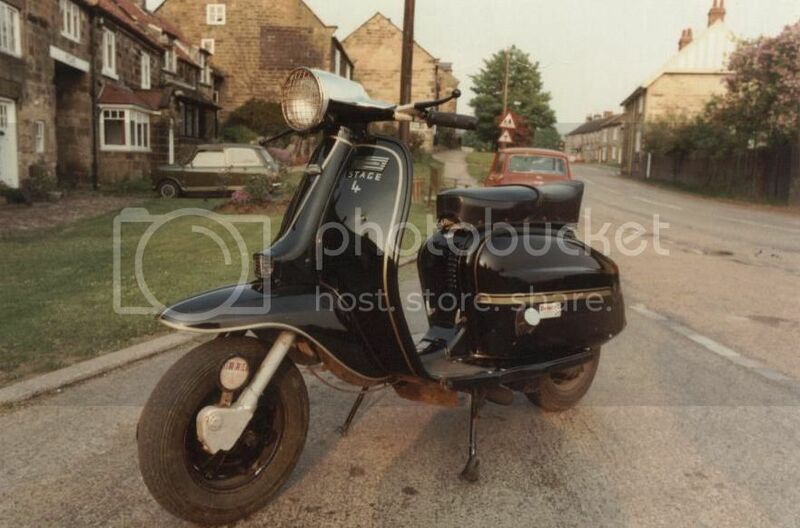 I got the black one (KDN 71S which started life as a Serveta 125) from a guy in Middlesboro in 1981 when I was 16, it had an Ll150 engine and was mustard Yellow. I re-sprayed it metallic blue with gold horncast/headset/pet tank/tool box/airbox and tail light (still just a std 150 as I only earned £16 a week as an apprentice mechanic and £10 of that went to my mum!). My first run was August 81 to Scarboro when I was still 16. The others I tagged along with were all 18 and 19 year olds and although only a couple of years difference it mattered a lot at that age. We stopped at the ‘Bunch of Grapes’ and because I had no insurance (or tax, or mot. Oops! Lol) I hid my scoot round the back in case the coppers called in. We met a few bikers in the pub but they were really quite friendly (we outnumbered them by about 3 to 1 ) had a few beers and left. I only got about a few miles down the road and mine seized up, I found out later sugar had been put in the tank (thanks friendly bikers ). They must have picked on mine because it was hidden out of the way. Once fixed, I had the horn cast, side panels, and headset top chromed, I think that cost me £60 if I remember right. I used it like that for about a year until one day a guy saw it at work and insisted I go to his house to see an old scooter he had, he was adamant I should pay him a tenner for it. I didn’t go, I had no tenner and I’d already amassed 6 or 7 LI150s in various bits so another was of no interest. But he kept pestering me so eventually I went for a look. I couldn’t get my tenner out fast enough; it was a series 2 TV175 in pretty good nick!! I took the engine out, stage 4 tuned it with an extra 1mm off everything (using tuning book from AF), had 12th skimmed off the head, saved for a 30mm dellorto, AF reverse cone Clubman, and a bigger front sprocket. Once done I fitted the engine along with the disk brake onto my Serveta. It was great! When the metallic blue lost its edge and one of the chrome side panels got damaged when I was kicked off one night by Grebos I stripped it down and painted it the black in the pictures. The pics you see of KDN were taken about two years later in late 1984 (the day I sold it), as you can see it was used, not polished! lol. My mates all lost interest in scooters late in 82 and moved on to the next craze, I was the die-hard who kept riding as Billy no mates (but sadly no runs) until 1984. With the home tuned TV engine KDN never let me down, EVER! I clocked up about 8k miles on her and only conked out if I ran out of petrol. I sold it late 84 to put the money towards a car. I often looked at my old scooter pics with sadness but it wasn’t till 1995 that the urge could no longer be held back. So I went out and bought a mostly complete SX200 in bits. 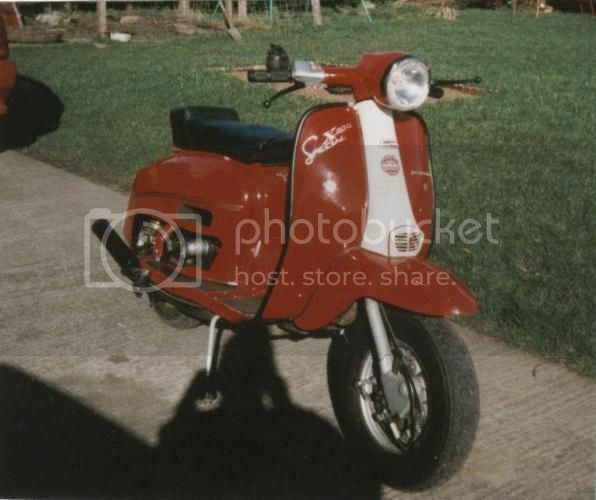 I had it on the road by 96, the red one in the pics and registered as SVN (dig my balloon front tyre!). I tuned the engine to exactly the same spec as KDN (I know another sacrilege) with the exception of an over kick start Fresco, it had been a nippy and reliable formula with KDN so why not with SVN? Went to a few runs with my brother then just played about as Billy no mates again for a couple of years. 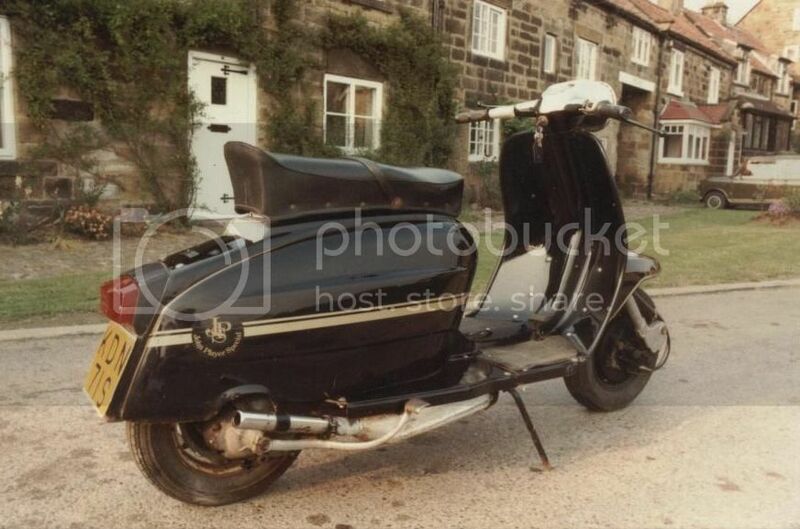 Again I never had any trouble with it, although I did have a rear tyre blow out at 65 with a lad I give a lift to on the back on the way to Whitby (that was fun! Lol). Wife was never happy that my scooter was better than our car so I sold it in late 98 to keep the peace. What I big grin it’s giving me! I’m in the process of slowly replicating my old home tune on the engine. It’s a running tune as I don’t want to take it off the road (too much fun!) and went to Whitby for the Easter run. I’ve got the front sprocket ready and an old 80s Fresco on the way, will get the 30mm carb soon. Hope the formula works as well on the GP as it did with the other two. I might even join a club this time round, never been in one before. How did you get the pics to display?? nice story eric, glad to hear your back on a scooter,, to post a pic open your photo bucket page, open your pic and click on the bottom panel beside the pic , the one with img beside it , when you click it will say copied, once you've done that come back here and press your ctrl button and the letter v on your lap top / computer and this will post your pic , all the best gavin.